I like cooking, I do not really mind dishes, I wash clothes regularly, I keep the house fairly clean.. (given the fact that I have a housegirl that comes only once a week :-)) But I hate ironing and folding clothes. Not in itself, but the fact that it is endless, it never stops. The rate at which you do this chore and the rate at which it piles back up.. frustrating. 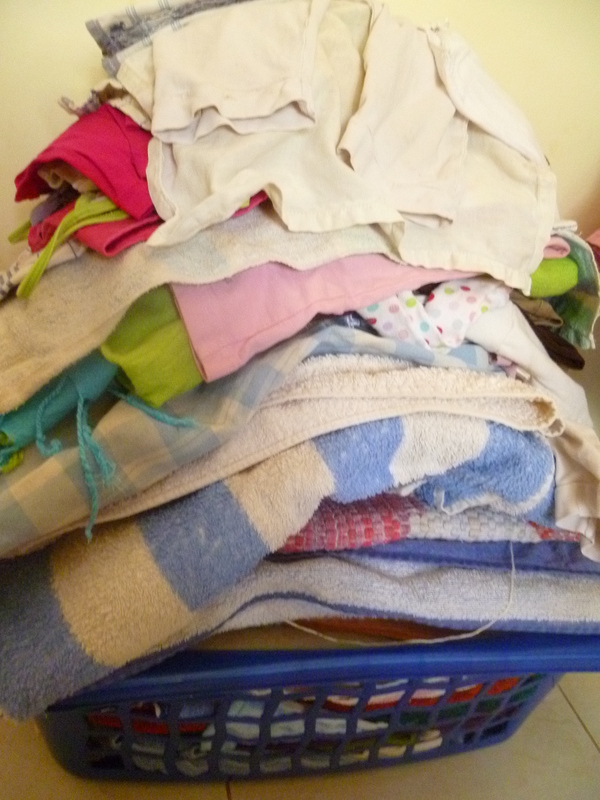 So it happens that I end up folding laundry (forget ironing) for hours on a Sunday.